It can be hard to know just how to help a troubled teen, especially as circumstances will vary depending on your teen's personality. From an angry, rebellious teen to a withdrawn teenager who is failing to thrive despite your best efforts, there is one thing that all types of troubled teens have in common — they can benefit from a therapeutic setting. Some parents, frustrated with the lack of change in their troubled teens, may want to send their child to a boot camp or other behavior modification programs. Unfortunately, this will not address the root cause of the troubled teen's problem. Even if the troubled teen corrects the behavior, with the root issue unaddressed, it is more likely that the teen will backslide in the future. Therapy is key to helping troubled teens make permanent changes. Instead of focusing on just changing the outward manifestation of the teen's problem, the right therapeutic treatment will help troubled teen face what is causing the problem in the first place. Personal therapy - Trained therapists work with your teen at therapeutic boarding schools. 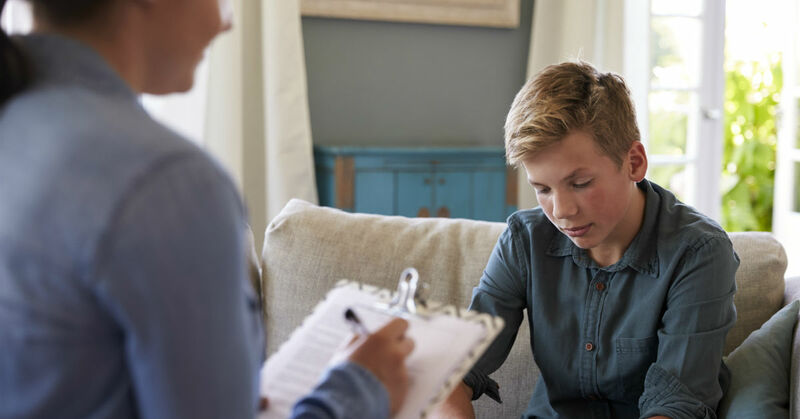 Most of these therapists specialize in helping troubled youth and use therapeutic modalities such as cognitive behavioral therapy (CBT), emotionally-focused therapy (EFT), anger management, dialectical behavioral therapy (DBT) and more to specifically target your teen's needs. Experiential therapy - Using tools such as props and activities, troubled teens use this type of therapy to connect and process their experiences as well as the emotions connected to the experience. This is especially helpful if your teen has had a hard time verbalizing their problems. Group therapy - Generally therapist-led, group therapy serves several functions. Troubled teens are able to work together, supporting one another as they discuss their problems. This can help your troubled teen feel less isolated, where they feel as though they are the only ones struggling. It also gives them a strong support system as your troubled teen works toward making positive changes. Family therapy - To help families reconnect, most therapeutic boarding schools offer family therapy. With a therapist to guide the sessions, families can work with their troubled teens and open healthy dialogues with each other as they are finally able to discuss problems in a healthy way. At Liahona Academy, we bring all these therapeutic methods together into our program as well as a strong academic aspect. Here, troubled teen boys can truly begin to heal and learn how to move forward toward a positive future. If your son is struggling to change, contact us and see if he would benefit from our program.